The global financial crisis was merely a bump in the road for the United Arab Emirates’ booming economy, well secured by zero-tax policies, economic free zones and political stability. 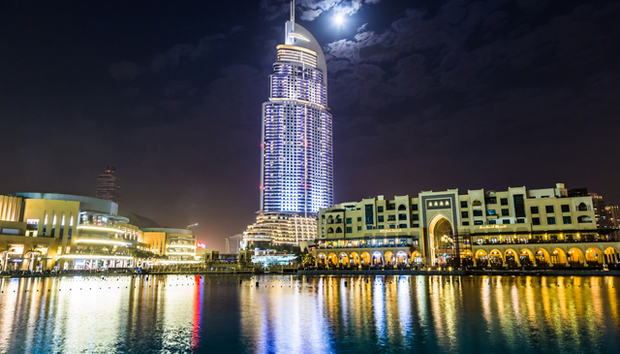 The UAE has opened its doors to new investment opportunities since the recession and the Arab Spring risings. Tourism, construction and other segments are significant contributors but ICT is also leading the way. By contrast, the shadow of global recession has led rivals to fiscal policies unfavorable to near-term business success and profitability for emerging startups and enterprises. For startups operating on limited capital, the UAE presents vast business opportunities and is rapidly cementing its position as a symbol for Arabian entrepreneurial spirit. In 2012 alone, the UAE said it attracted around US$8bn of foreign direct investments as turmoil mounted in Egypt, Syria and other Arab countries. According to Fortress Investments, that figure grew to $12bn in 2013 and will swell to $14.4bn in 2014. Dubai’s 12-year-old Jumeirah Lake Towers (JLT) Free Zone project to locate new businesses is an iconic example of what is happening. As one of the fastest growing free zones in the world, the project has drawn the attention of thousands of startups and businesses from unsettled Arab regions, Asia, Europe and Australia. With over 60 towers, the centerpiece of which is the 360-metre tall Almas Tower, JLT today has over 8,000 members and a community of 80,000 with 200 companies registering per month. “Enthusiasm and extraordinary aspirations of Emirati investors will potentially lead the UAE to unprecedented levels of innovation and commercial success,” says a Dubai resident. This sentiment is echoed by JTL’s executive chairman Ahmed Bin Sulayem, who hopes to bring new heights of commercial success to the UAE, quite literally. With Middle East IT spending growing to over $32bn in 2014, according to IDC, on the back of rapid growth, the UAE is well set to attract investment from the technology sector. That could be helped by the Dubai “Smart City” initiative, which IDC expects to be replicated by others within and without the UAE. One very hot market is likely to be in security as CIOs seek to protect against ‘hacktivists’ and cyber war threats. And startups are getting help from hubs such as Dubai Internet City and efforts like in5, also in Dubai. Despite the hair-raising statistics, some watchers believe a more thorough evolution process could have made UAE’s business sector a better place to work. In particular, many curse the clogged roads that make getting in and out of offices a difficult exercise. Nevertheless, the UAE will continue enjoying strong interest from small and midsize businesses deterred from neighbouring unrest and spying huge local opportunities to grow their businesses.